Video games are a medium that moves forward quickly. While such rapid progress can be a good thing, it also comes with the caveat of many audiences missing out on what came before. Thankfully, video games have gotten to a point where they’re taken more seriously and, as a result, the industry is more focused on preserving the classics than it was in the past. Older games are now commonly found as downloadable titles on consoles and PC, while some lucky entries are given the full-on remake treatment, which is a far more appreciated concept in games than in movies, due to the fact that the overall game tends to remain the same, but with a few modernized tweaks. The video game world sees many such re-releases in this day and age (something that – unlike many people – I don’t have a problem with, given the aforementioned reason of preservation). But there can only be one that stands above the others. I was tempted to give this to the SNES Classic Edition, but decided that option seemed a bit like cheating. So instead, why not crown the best Mario Kart ever made better than ever? That’s exactly what Mario Kart 8 Deluxe is. It takes the most polished and refined entry in one of gaming’s most beloved multiplayer series, and improves on it by making some small but meaningful tweaks, as well as rectifying the original release’s one notable flaw (by means of returning Battle Mode to its roots. If it ain’t broke, right?). Featuring a few additional characters, returning items from old entries, and just a few extra refinements, Mario Kart 8 Deluxe is a shining example of how to re-release a modern classic (if it just featured more race tracks and removed Pink Gold Peach and Princess Daisy, it would be perfect). 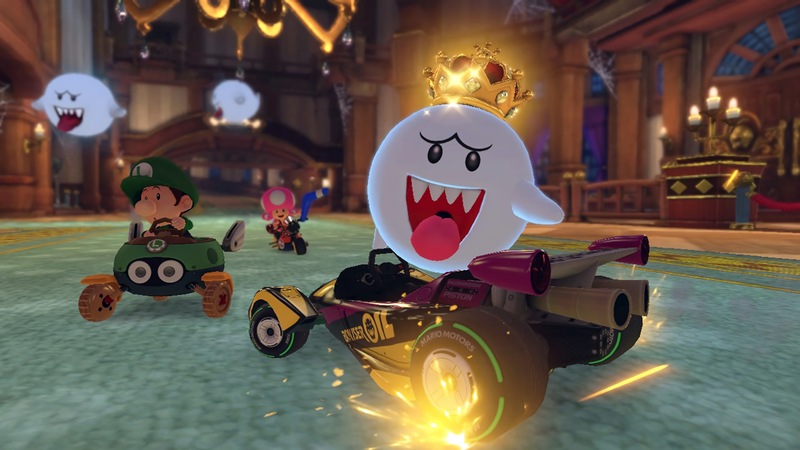 In short, Mario Kart 8 was already the finest entry in one of Nintendo’s best series, and its Deluxe version ascends it to being one of the finest games in Nintendo’s history. Wizard Dojo’s annual video game awards look to see what the best remake of 2017 was.